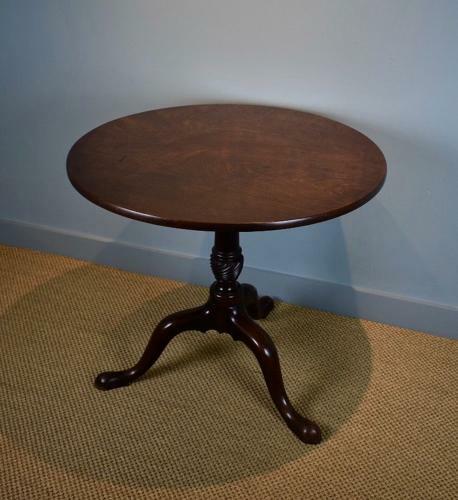 An excellent quality, Georgian, tripod table of traditional form made from Cuban mahogany of lovely figure and rich colour. The centre column with turned and wrythen carved ornament supports the three legs which terminate in a pad foot. The table top tilts by means of the original brass fixing Circa 1770.